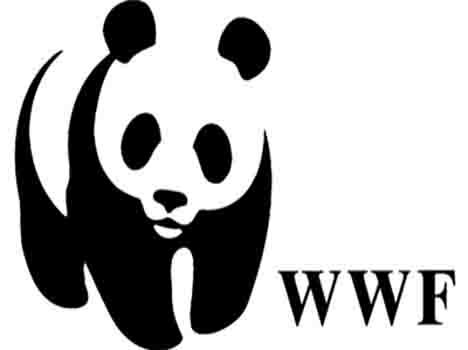 WWF-India, one of the largest conservation organizations, engaged in wildlife and nature conservation in the country, invites applications from candidates with an inherent sensitivity and passion towards promoting the conservation of nature, to work towards conservation of wildlife and biodiversity in the critical Terai Arc Landscape (TAL), spread across the Indian states of Uttarakhand, Uttar Pradesh and Bihar, and the low lying hills of Nepal. The landscape boasts of some of India’s most well-known Tiger Reserves and Protected Areas such as Corbett Tiger Reserve, Rajaji National Park, Dudhwa Tiger Reserve, Valmiki Tiger Reserve and Nepal’s Bardia Wildlife Sanctuary, Chitwan National Park, and Sukhla Phanta Wildlife Sanctuary. The Job profile: Undertake regular mapping/ assessment exercises of both the human and material resources available with the forest department/s in protected areas, territorial and social forestry divisions in the periphery of PAs and corridor areas and: (a) assist in organizing training programme for the forest department on enforcement issues; (b) where required, work towards provision of equipment and other resources to strengthen monitoring and patrolling. Liaise with senior forest department officials and other stakeholders (state and non-state actors) sharing information (including data, analytical inputs, & maps) as well as assist in the development of an effective informer network. Assist line managers in project management including formulating workplans, reporting, monitoring, financial management and delivery of agreed targets. Qualifications, Experience and competencies required: Science Graduate/Postgraduate, preferably in Biological Science/ Environmental Science/Wildlife Sciences or a related field. Prior experience in planning and undertaking capacity building programmes will be an advantage. Also, prior exposure and understanding of forests and wildlife areas would stand the potential recruit in good stead. High degree of computer skills, and database management and use is a must. Excellent knowledge of Hindi (writing, reading & speaking) is mandatory. The Job profile: Design in consultation with Head, TAL-Uttarakhand and senior colleagues from Secretariat activities aimed at addressing human-wildlife conflict and identify key areas of intervention for addressing the same, both thematic and geographical. Design and implement field trials and pilots of activities aimed at reducing human-wildlife conflict. Data gathering , analysis and report preparation human-wildlife conflict. Assist in preparation of quarterly technical reports, scientific publications and other communication material. Prior experience in working with local communities and conservation issues will be an advantage. Also, prior exposure and understanding of forests and wildlife areas would stand the potential recruit in good stead. The Job profile: Undertake tiger and prey monitoring across critical areas in the landscape, specifically focusing on the Valmiki Tiger Reserve (Bihar). Work closely with the Sr. Project Officer, Tiger Conservation and other colleagues in the landscape to identify key areas (geographic i.e. sites including habitations within corridors, wildlife habitat areas both existing and potential) and threats, if any to these for intervention in order to ensure optimal outcomes for conservation. Assist in organizing training programmes for the forest department on enforcement issues on management of Human-Wildlife Conflict. Liaise with senior forest department officials and other stakeholders (state and non-state actors) sharing information (including data, analytical inputs, & maps) and also assist in the development of an effective informer network. Science Graduate/ Post Graduate, preferably in Biological Science/ Environmental Science/ Wildlife Sciences or a related field. Prior experience of working in planning and undertaking capacity building programmes will be an advantage. Knowledge of monitoring tigers, co-predators and prey would stand the potential recruit in good stead. The Job profile: Collect primary data and information to be used for preparing quality funding proposals. Work with the team and under supervision of the Sr. Project Officer/ Project Officer (Community based Conservation) TAL for executing, implementing and monitoring energy conservation activities as per approved work plan and identify key areas of intervention on energy conservation, both in terms of technology and geographical. Implement field trials and pilots of activities aimed at reducing excessive dependence on biomass from forest areas and facilitate information flow from local communities to Sr. Project Officer/ Project Officer (Communities based Conservation) TAL. Network closely with field personnel of the forest department and district administration to see how energy interventions by the state agencies can be complemented with energy interventions by WWF-India. Submission Details: Please submit an up-to-date CV (mentioning your full name in the resume attachment), giving details regarding compensation received in the present assignment, expected salary, and three references. In order to ensure that your application is sorted correctly, please mention the name of the position as relevant, in the subject line.